I have had such a fun week. 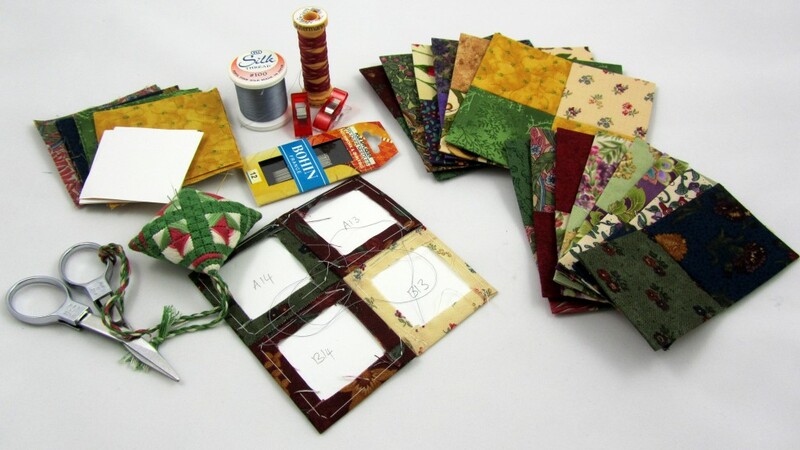 On Monday we had a class at my patchwork group to make a spools quilt. We were led by the lovely Noell Stawarz who always seems to iron out all my little problems so that points meet where they should – well almost! 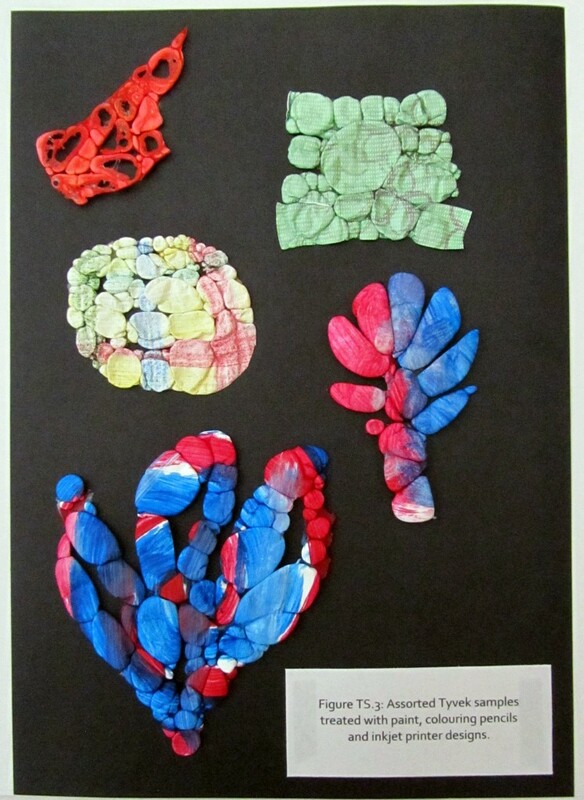 The idea was that everyone brought along a few pieces of fabric for a swap. We all cut 1 inch strips from the full width of our fabric and then shared our strips so that everyone had a pile of approximately 30 different strips. 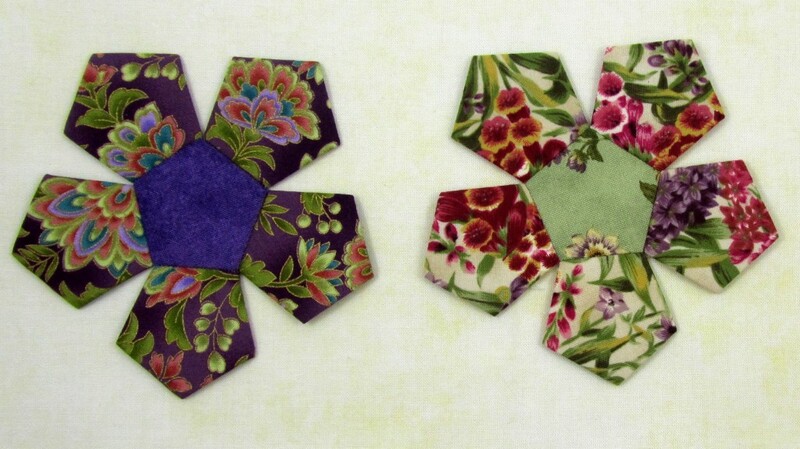 We pieced the strips in groups of eight and then from these cut 3.5″ x 4.5″ blocks to be the centre of the spool. I was completely hooked. It was really fun to see groups of colours coming together and then to see the completed blocks evolve depending on the colours I chose for the top and bottom of the spool. A completed quilt top – in less than a week! 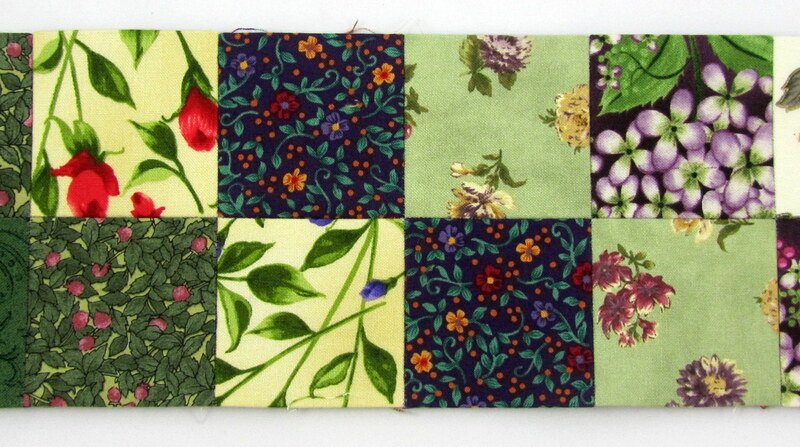 The fabric for the L-shaped border comes from a beautiful piece I have had in my stash for a while. 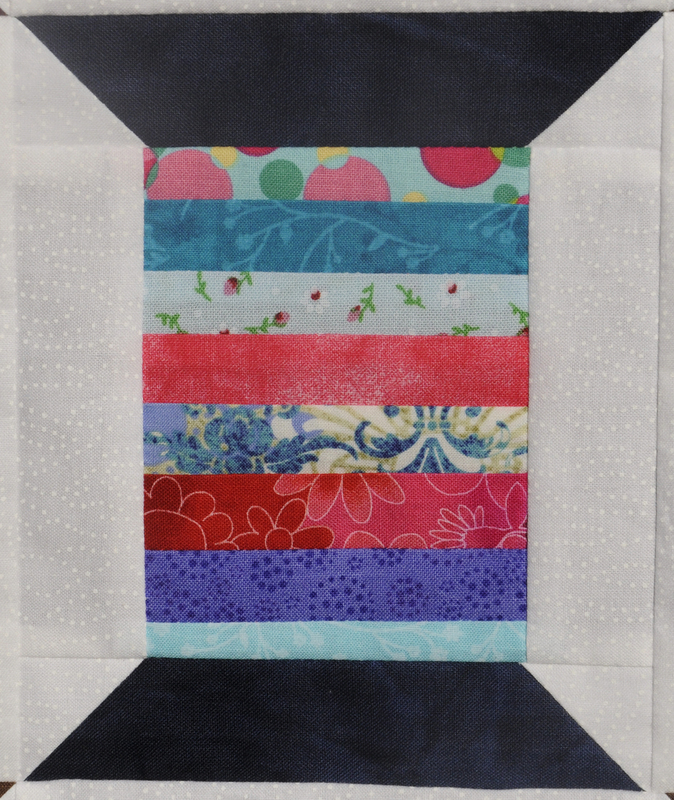 I have a weakness for sewing themed fabrics and the old-fashioned style of this piece seemed to suit my spools perfectly. 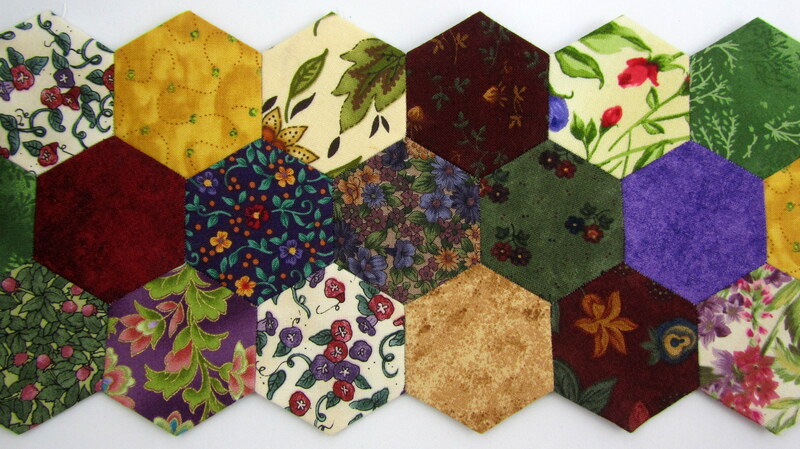 In fact, all the fabrics for this quilt are from my stash – I haven’t bought a single piece. My halo will choke me! 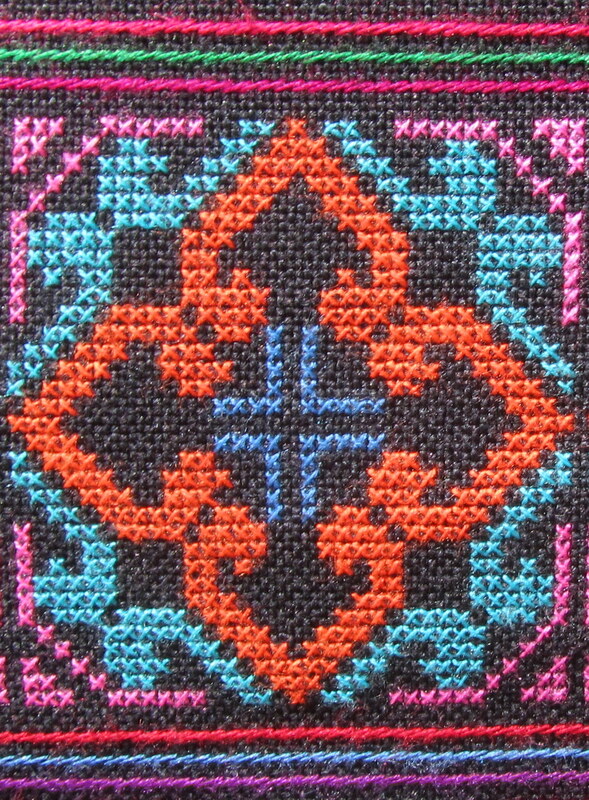 Last week I was very excited about this exquisite Afghan textile that I had been able to borrow from my friend, Greg. 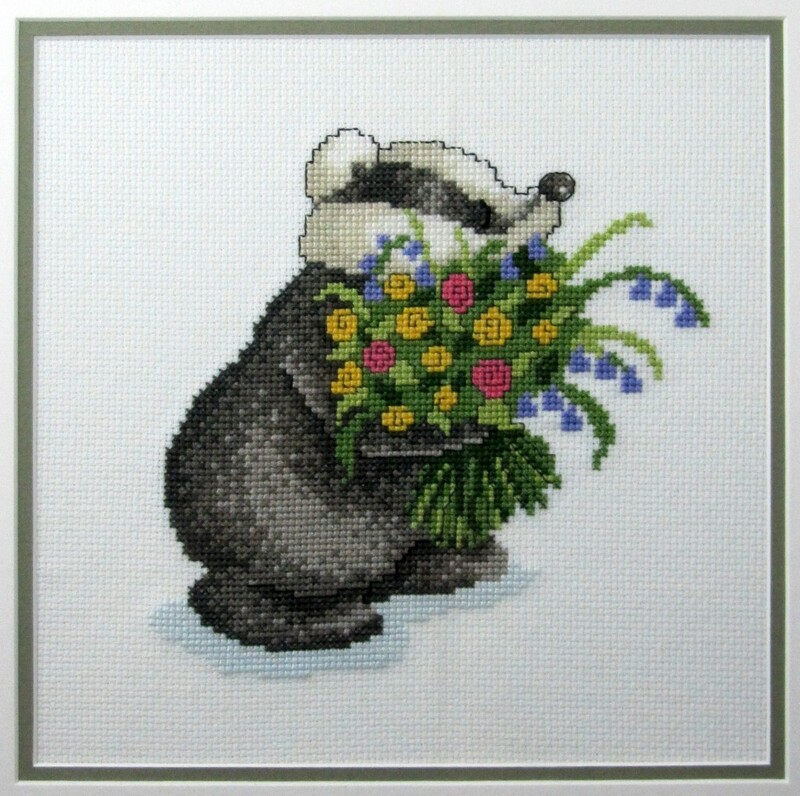 I am happy to report that I now know a bit more about this beautiful piece of embroidery. A friend from my embroidery group kindly did some research and came upon this reference in Sheila Paine’s book, “The Afghan Amulet”. This seems to confirm that Greg’s tunic is indeed one of these splendid whitework tunics. Kandahar Treasure employs women artisans from the Kandahar area in order to develop an economic base for the province and support the advancement of women throughout Afghanistan. 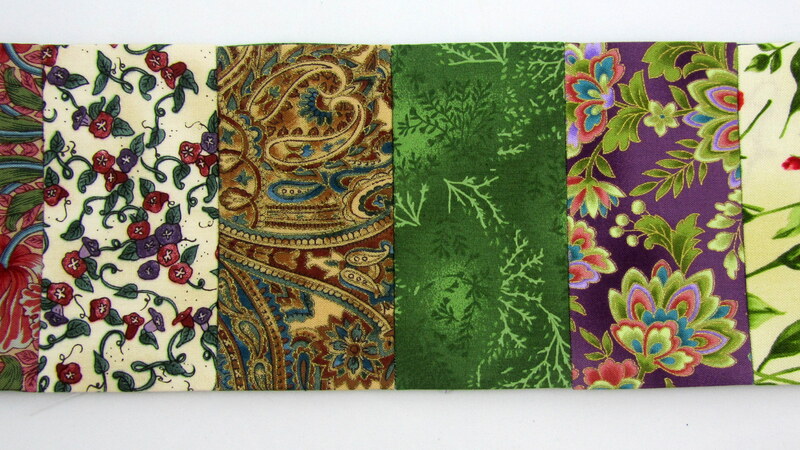 We offer home décor items, such as pillows and tablecloths, as well as clothing and accessories embellished with a uniquely Afghan style of embroidery. 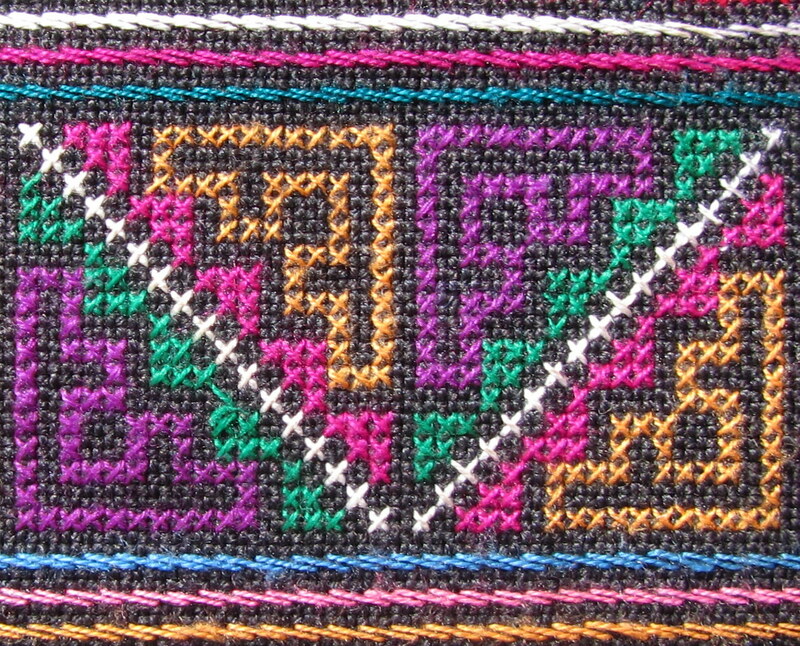 This style is called Khamak (pronounced kha-mahk) and is one of the oldest and purest forms of embroidery art in the world. 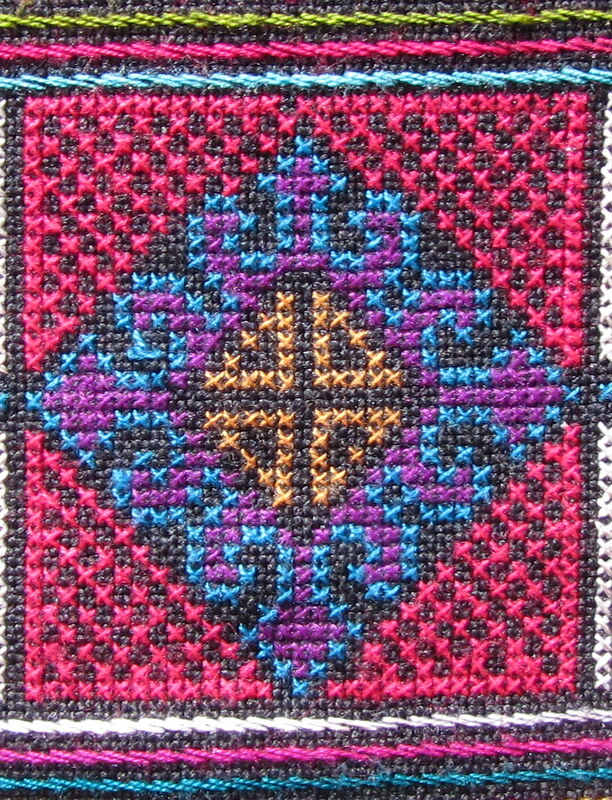 This motif, worked here in gold on red, is almost identical to the motif covering a large part of Greg’s whitework tunic. 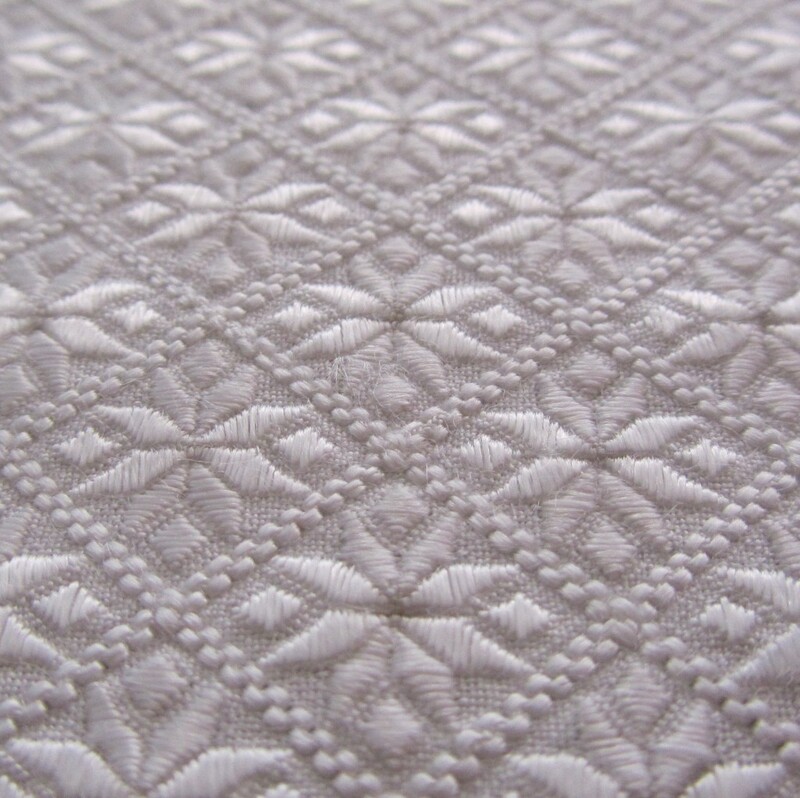 Detailed view of floral motifs covering the central area of the whitework panel. 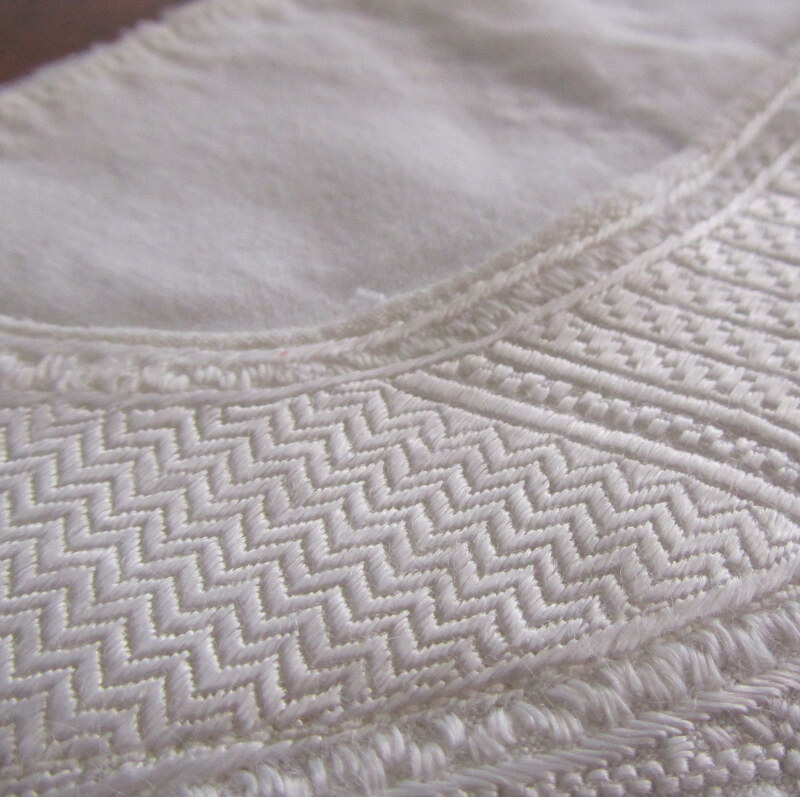 So, I am confident now that we know for sure that the whitework tunic is from Afghanistan. The sad part of the story is that refugees living in Pakistan needed to sell this family heirloom in order to make ends meet. 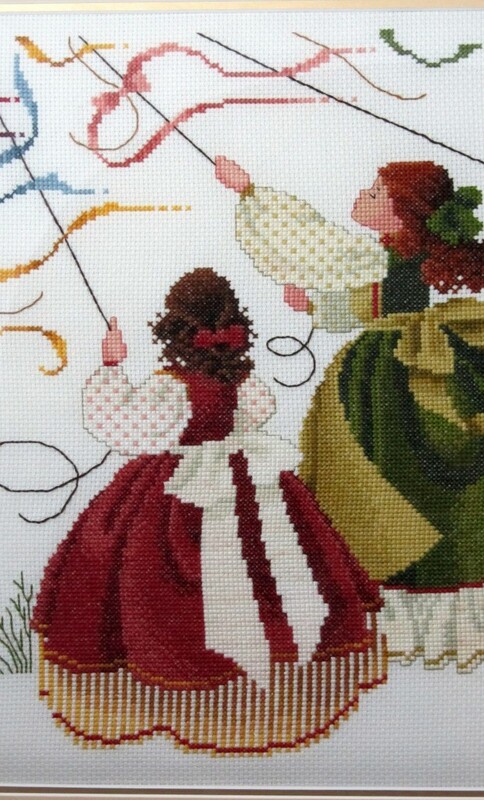 But I am glad to know that their embroidery tradition is being continued. 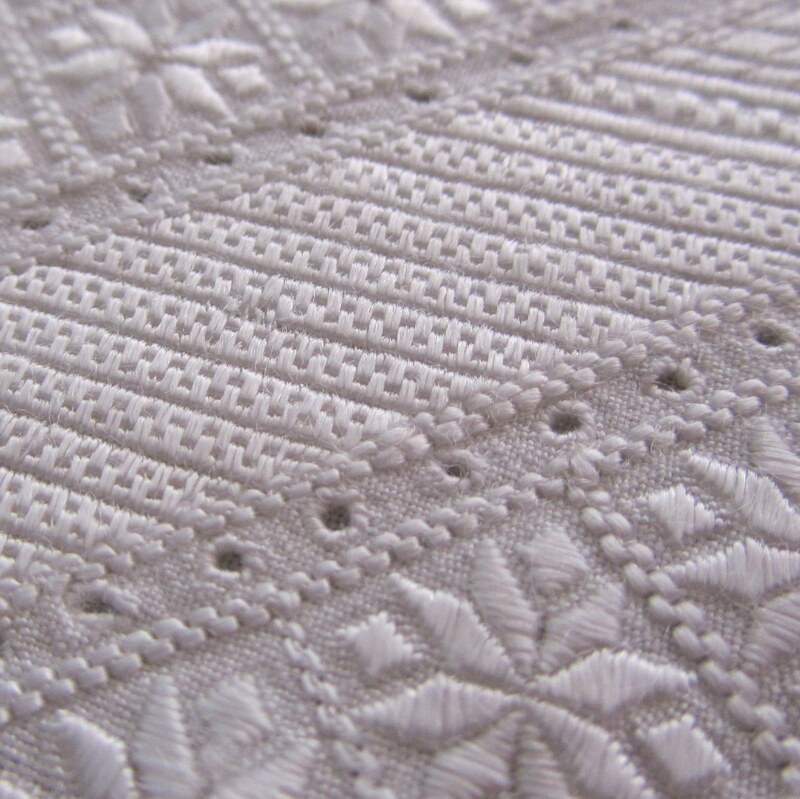 I still think Greg’s whitework tunic is one of the most exquisite pieces of stitching I am ever likely to see. 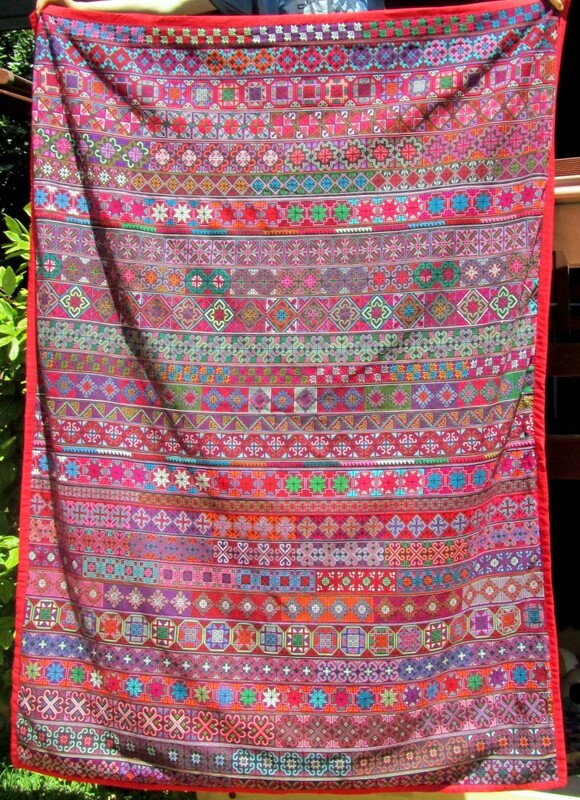 A few weeks ago, I wrote about a beautiful Akha quilt that my friend Greg had bought on a recent trip to Burma and Thailand. 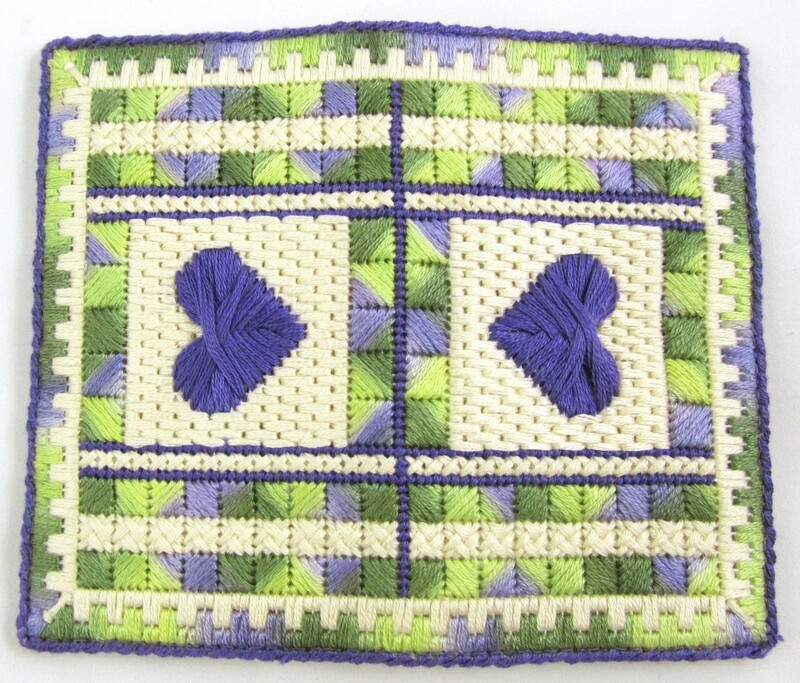 Last week he lent me another beautiful textile to drool over. 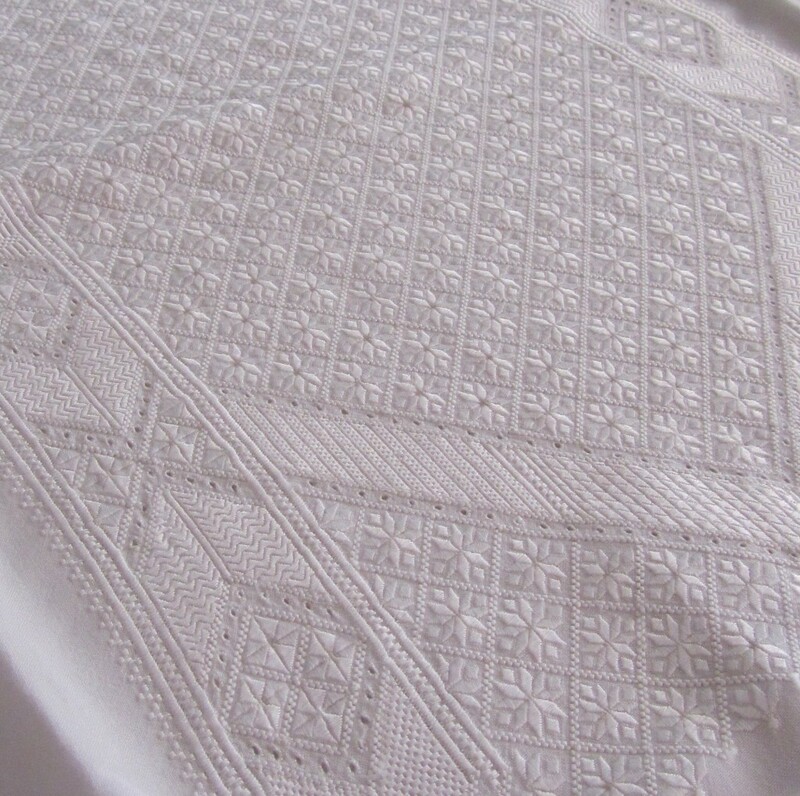 White tunic with embroidered panel. 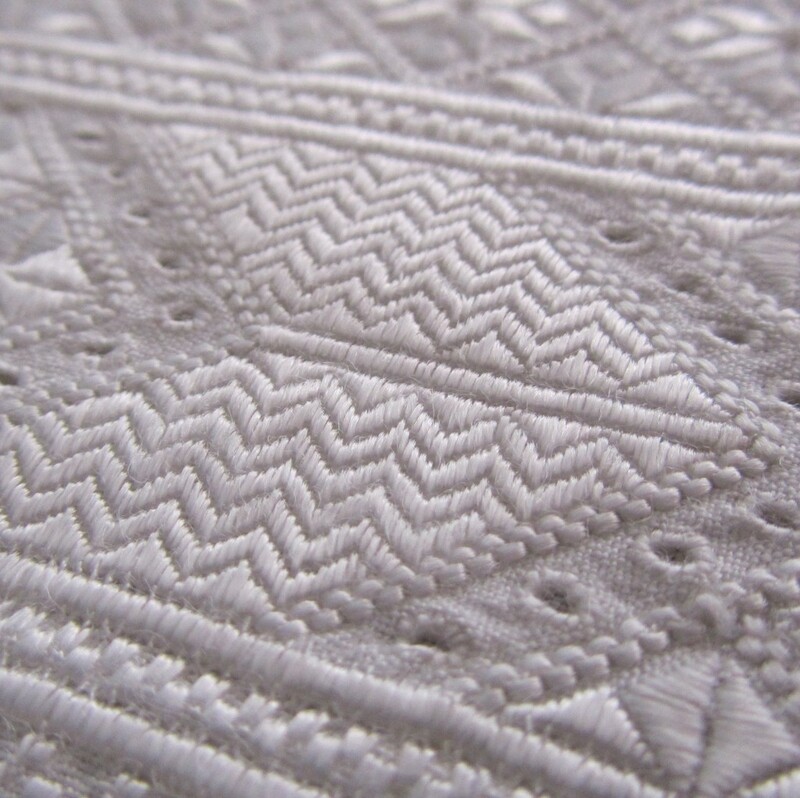 This white tunic has the most exquisite panel of embroidery I think I have ever seen. 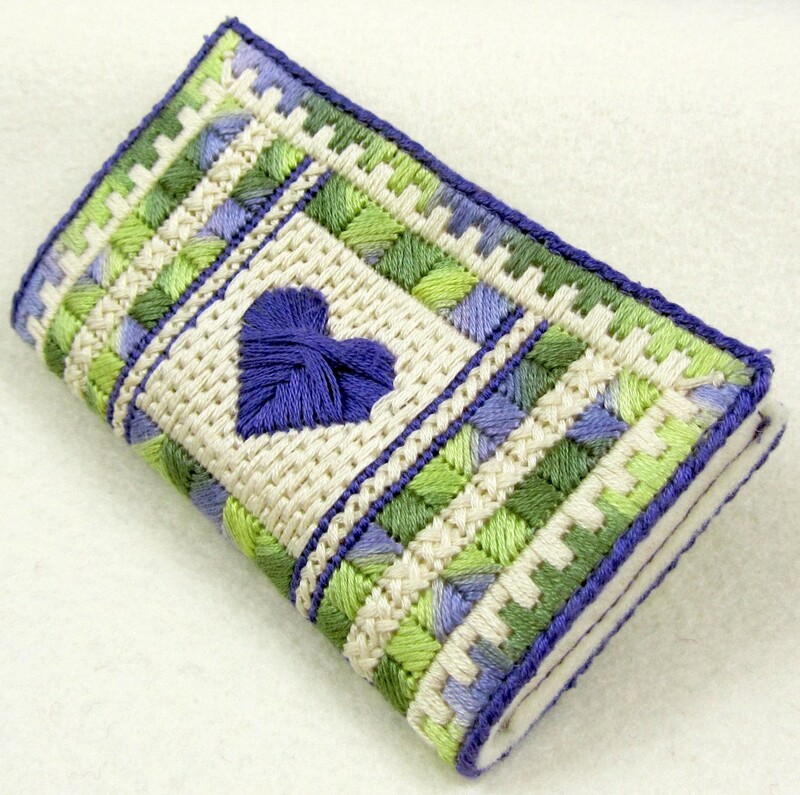 It measures approximately 12″ x 18″ (30cm x 45cm) and is covered in fine, detailed, geometric stitching in silk thread. 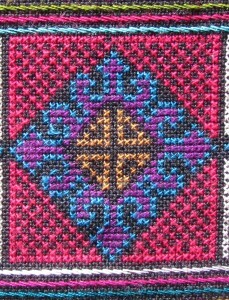 Closer view of the embroidered panel. Greg bought this tunic in Quetta, Pakistan and believes that it is the work of Afghan refugees. He wanted to know if I thought it really was hand embroidered. At first glance, you might think that it would be machined with so much detailed work over a large area. 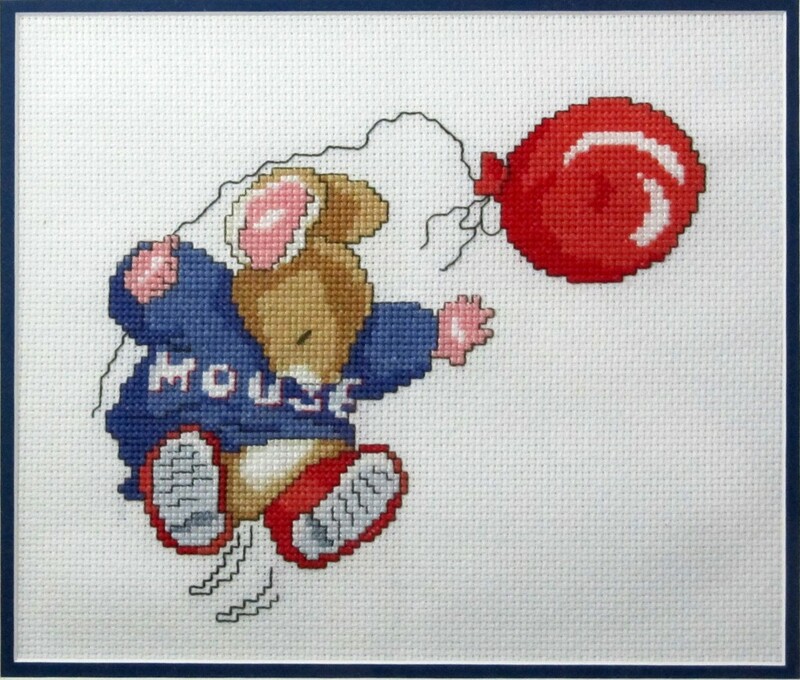 But I am convinced that it is completely hand embroidered. 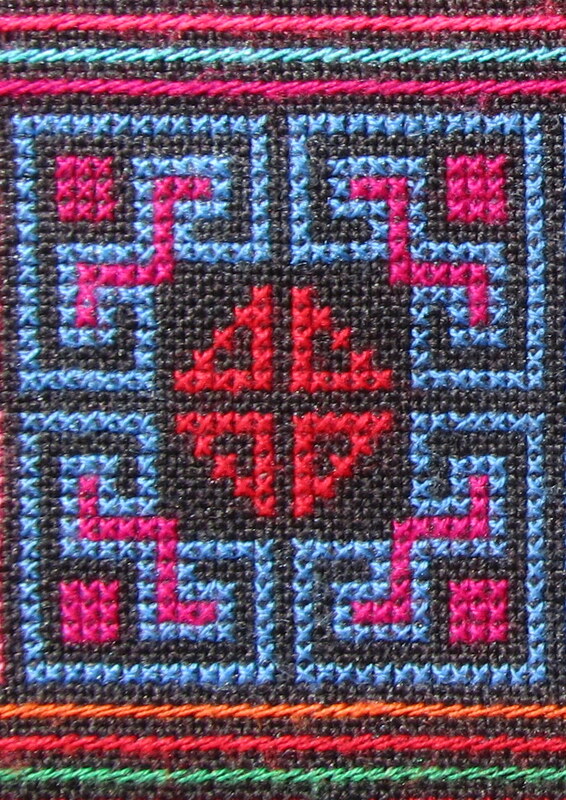 Detailed view of floral motifs covering the central area of the panel. 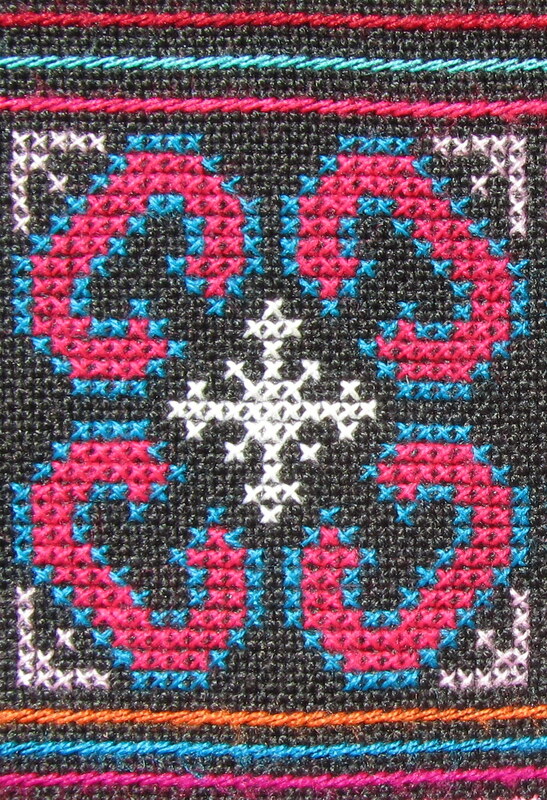 Each motif here measures just 1.5cm x 1.5cm. 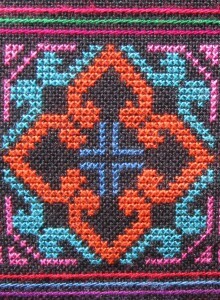 I have done a little research on the internet and discovered this link about Afghan textiles at Eternal Threads. Whilst I can’t be sure that this tunic falls into the above category, it is certainly something very special that took many, many hours to work. 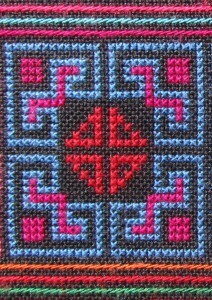 It has clearly been worn as there is some wear around the collar and yet the embroidery is still almost perfect. 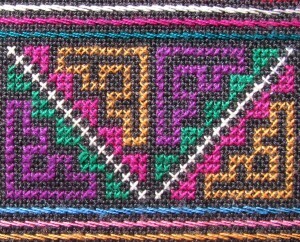 Truly something to wonderful to behold – and another lovely piece of geometric embroidery to inspire me! Many thanks Greg. Australia is suffering through a heatwave. It started here in Perth last weekend when the maximum temperature reached 44C – very hot! A terrible fire in the hills suburbs claimed over 50 homes. The heatwave has moved east now – Victoria and South Australia are experiencing record high temperatures where over 100 bushfires are now burning. My thoughts and best wishes goes to all those people affected. I am not a big fan of the heat – give me cooler weather any day. Why? 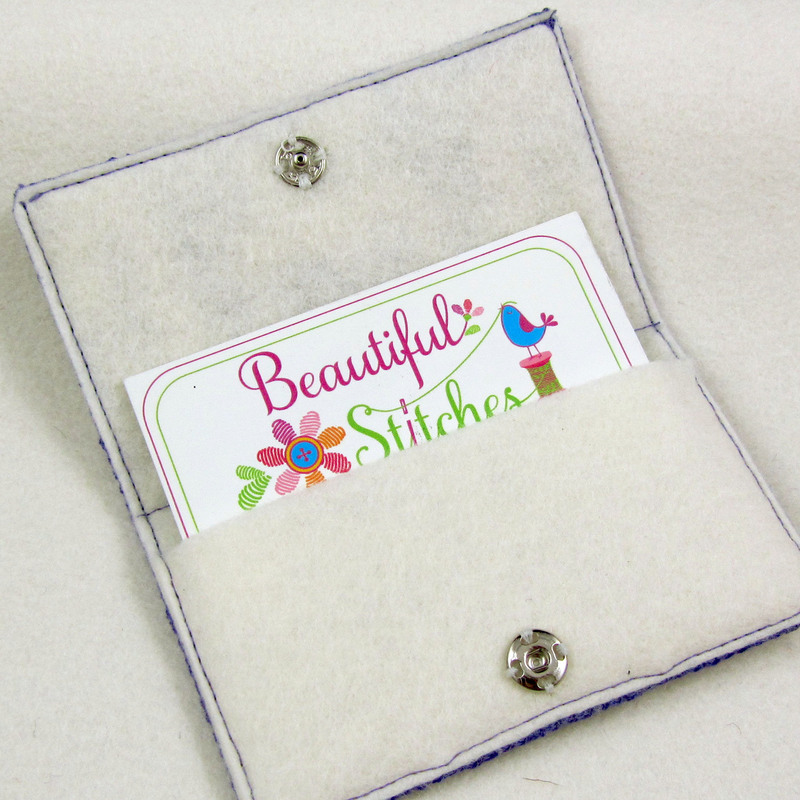 Because it is no fun sewing on hot days with sweaty hands 😉 So what do you do on the days when it is just too hot to sew? One of my favourite things is to get myself organised. 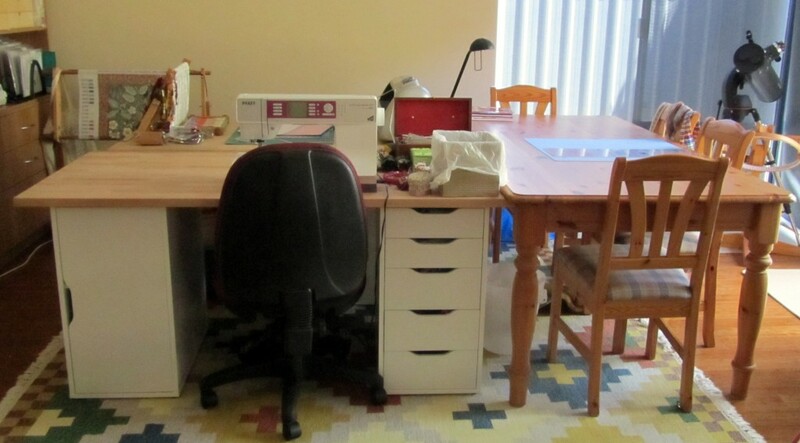 I am lucky to have a dedicated sewing room. 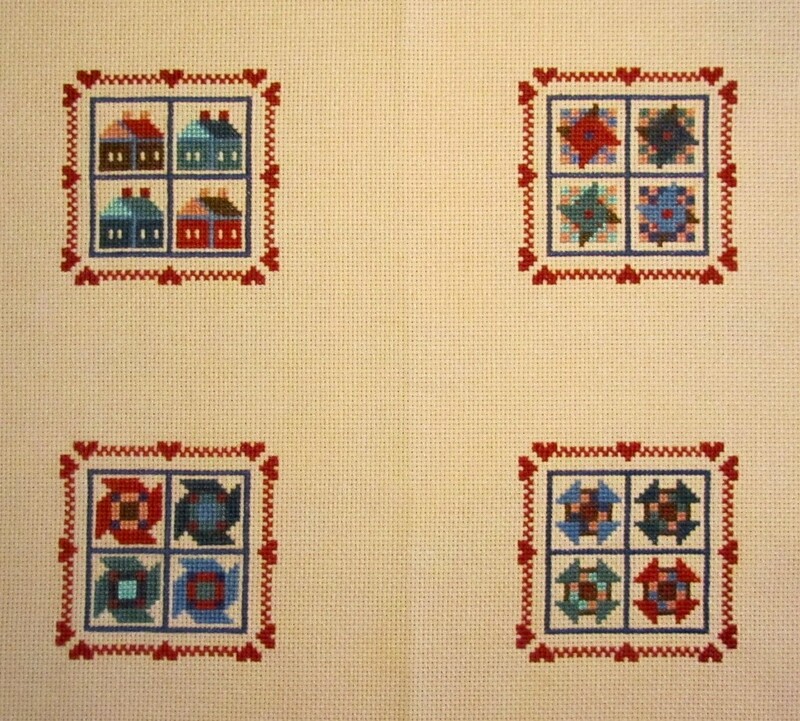 When we built our house, I did a deal with my husband – he could have a 3-bay garage if I could have a sewing room. And so it happened – my favourite room in the whole house. It has floor to ceiling windows on two sides for plenty of natural light and opens onto a pretty courtyard so that I can work outside (when it is not too hot!). I have plenty of built-in shelves and drawers, bookshelves, and an assortment of tables. 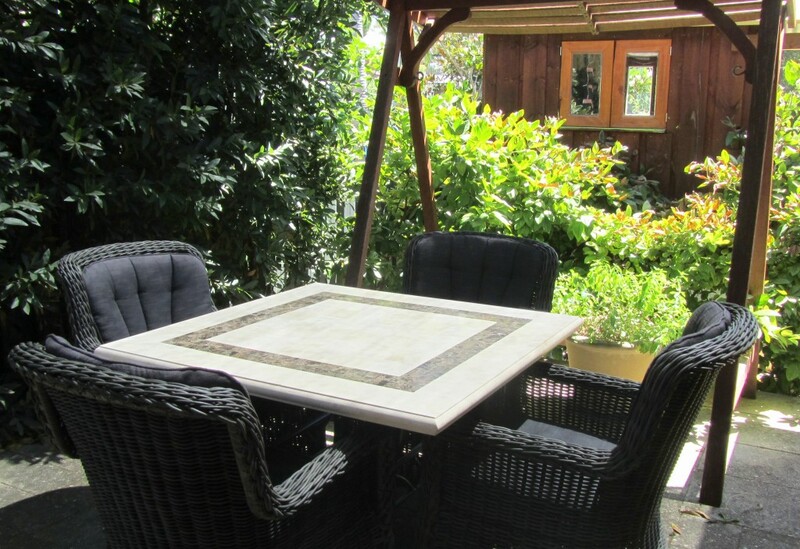 My cool and shady courtyard – perfect spot for a cup of tea and some hand sewing. But after all the chaos of Christmas and New Year my sewing room was suffering….time for a clean out and some reorganisation. Fabrics have been sorted and culled, threads have been tidied and stored on rings, WIPs have been revisited and prioritised and all the surfaces are clear again. 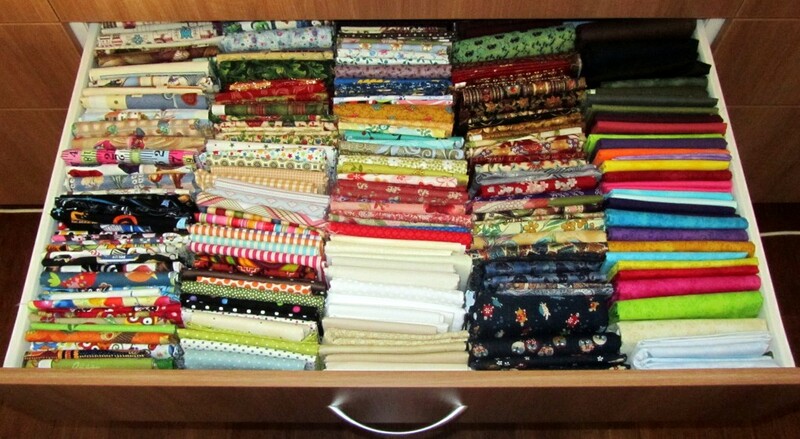 A drawer full of neatly folded fabrics. 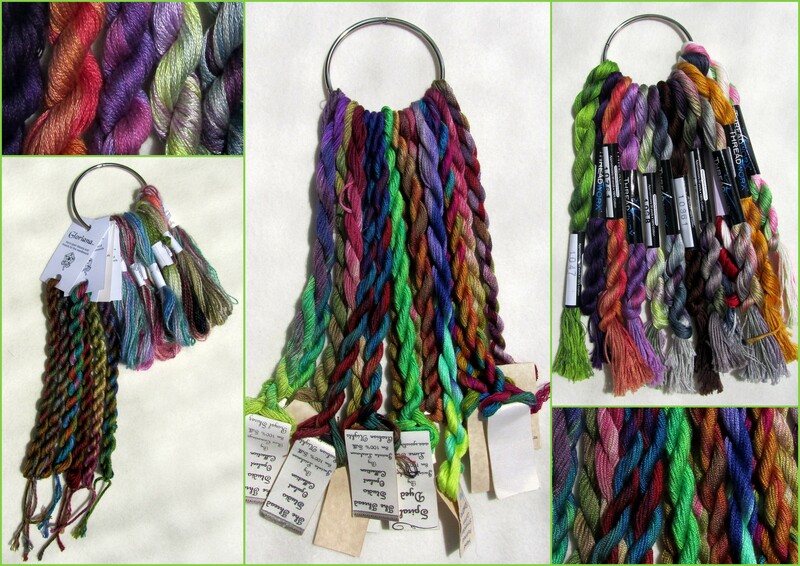 Lovely threads – easy to see and choose as needed. All tidy and ready for action! So now it looks (and feels) so much better – all ready to sew now the weather is cooler again. 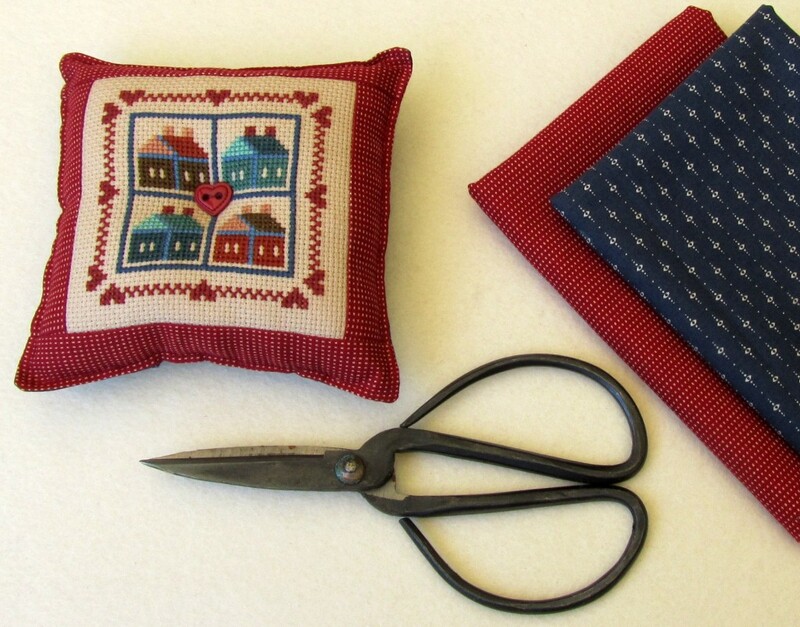 What do you do when it is too hot to sew? 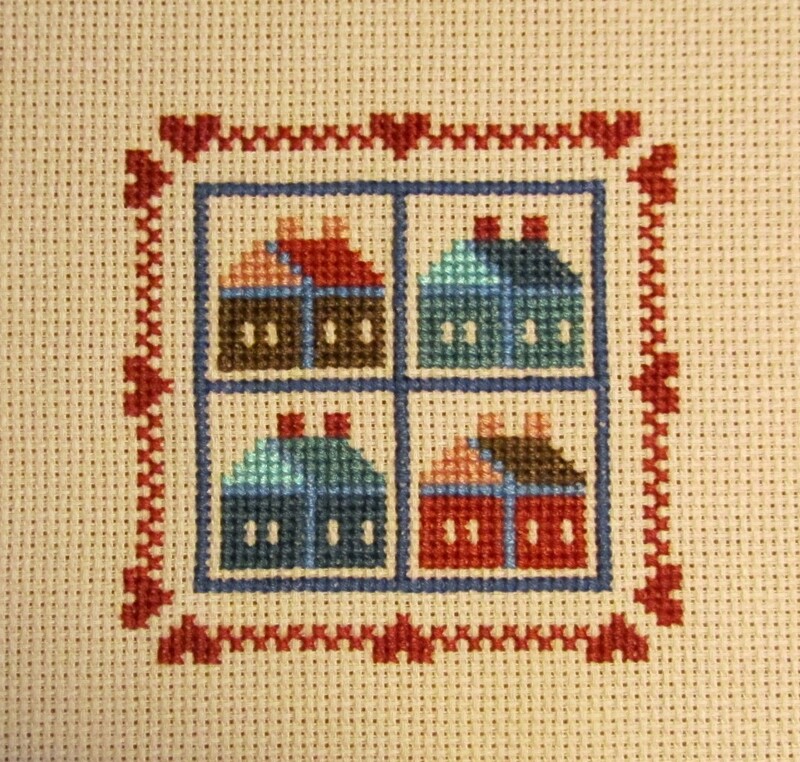 My Number 1 New Year’s resolution this year was to start writing this blog about my life in stitching. 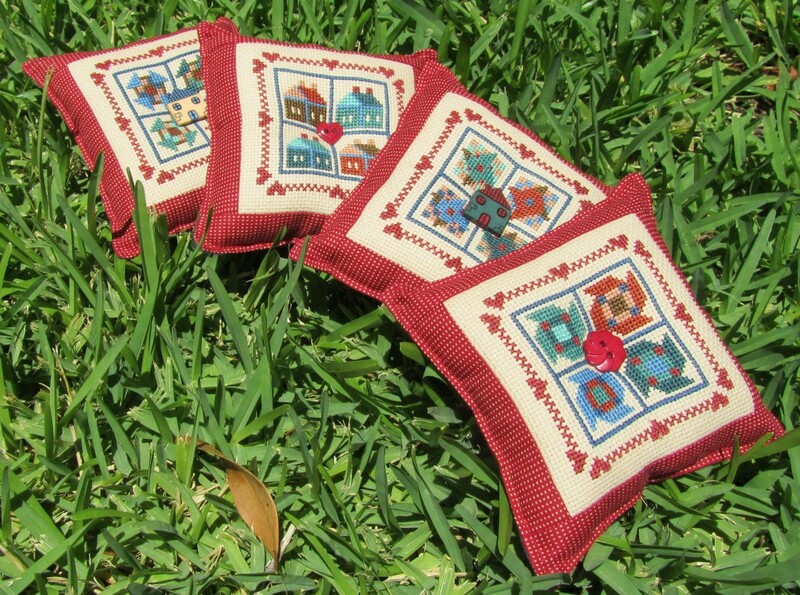 But I wasn’t quite sure where to start… and then with luck, or perhaps serendipity, this exquisitely beautiful textile came my way and I am bubbling with enthusiasm to share it with you all. Cross-stitch quilt from the Akha tribe, measuring approximaely 1.5m x 2.0m. My husband and some colleagues have recently started travelling and working in Myanmar. As luck would have it, one of those colleagues is a keen collector of textiles and on a recent trip he purchased this exquisite Akha quilt. He has very kindly lent it to me for a few weeks. There is so much design inspiration in this piece … and of course the sheer pleasure of savouring such a beautiful piece of craftmanship. 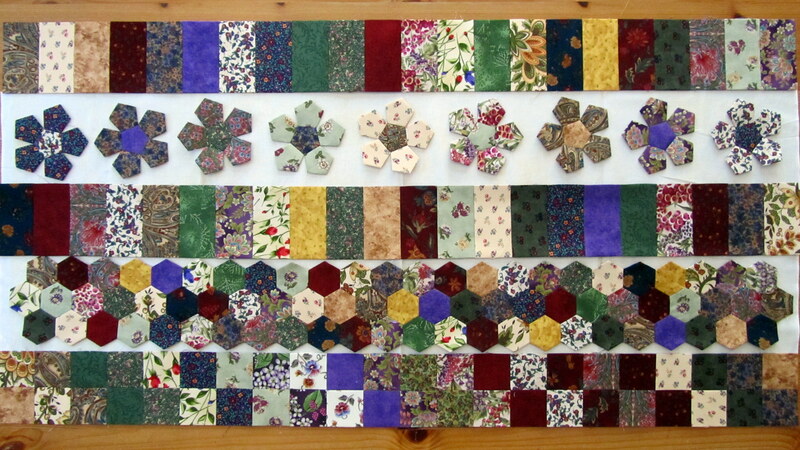 I have taken dozens of photos – they simply cannot do justice to the whole quilt. 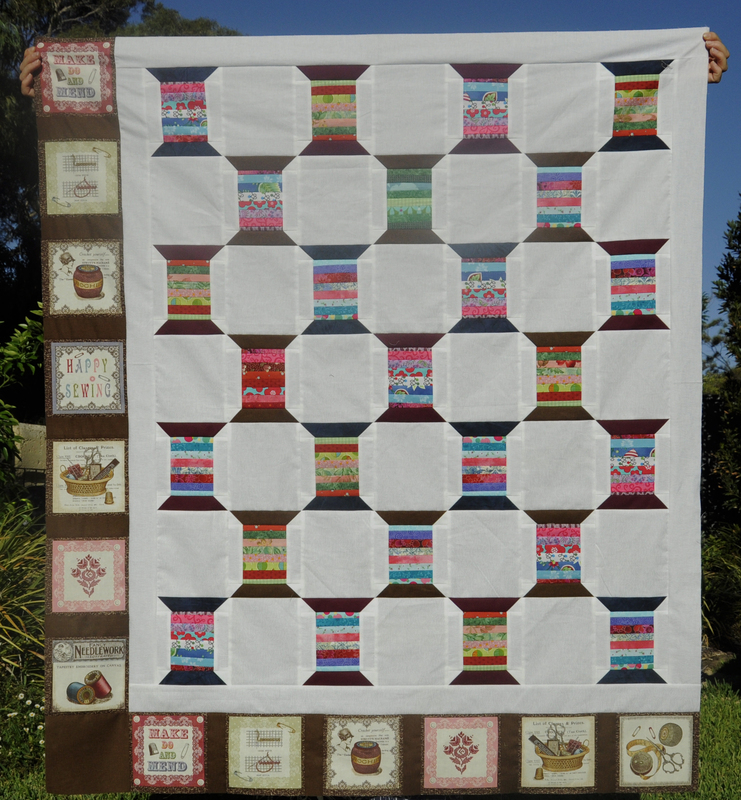 For the record, the quilt measures approximately 1.5m x 2.0m. 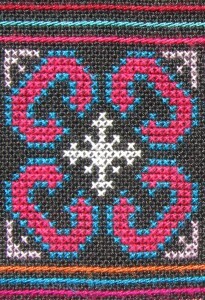 The cross-stitch is worked over 2×2 threads on a base that is approximately 26-28 count. 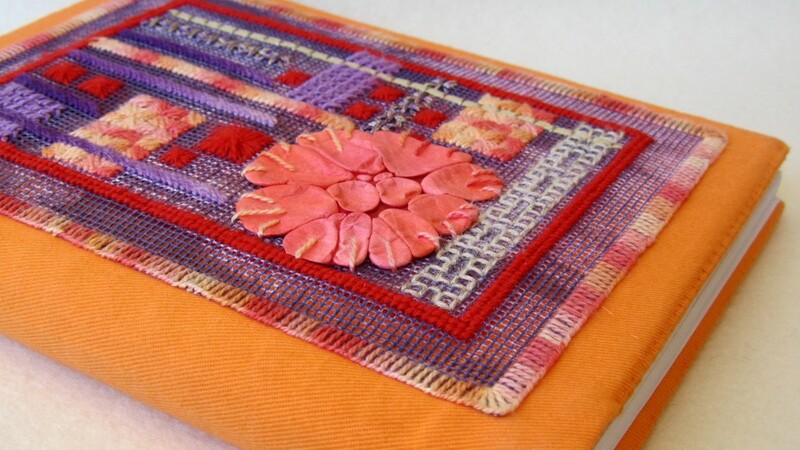 These detailed photos show the amazing evenness of the stitching and the wonderfully vibrant colours. 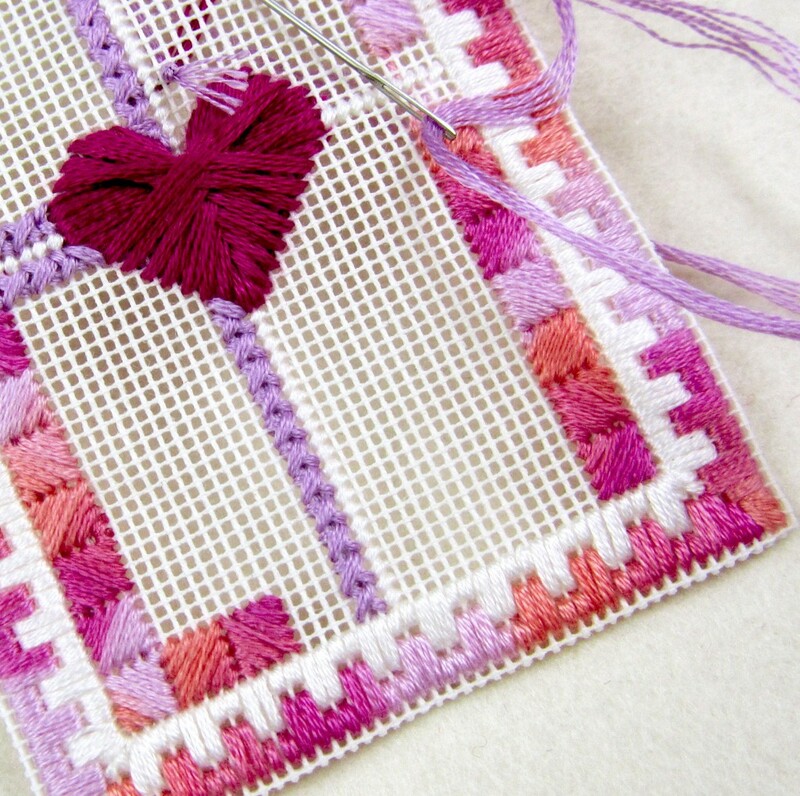 I am a keen canvaswork embroiderer – these patterns are going to provide wonderful design inspiration for the whole of 2014. Look out for them reappearing later in the year!